The Books Are My Bag Readers Awards are one of a kind. They’re the only book awards curated by bookshops and voted for by booklovers. This year’s awards, back for a third year, include a new Poetry category alongside seven other awards including Novel, Non-Fiction and two categories for books written for younger readers. Seven of the shortlists were chosen by booksellers across the UK and Ireland, while the Readers’ Choice Award – nominated and voted for entirely by booklovers – completes the set. 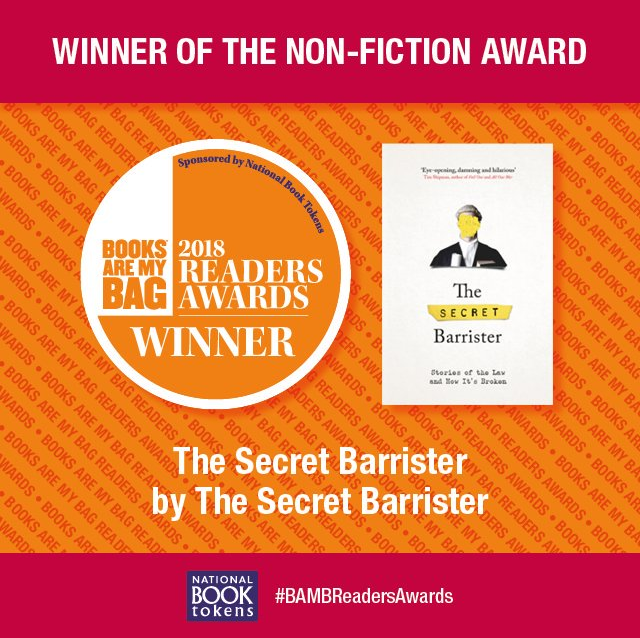 You voted in your thousands and we can now reveal the winners of the 2018 Books Are My Bag Readers Awards, sponsored by National Book Tokens. To find out about all the winners click here.